At Communication Legal Translation Establishment, we derive a grand feeling of accomplishment on our proficient Linguistic services in Morocco for eloquent, precise and effective linguistic, Grammar, Style and Spelling checks that duly comprise of financial, medical, humanitarian, official, personal, academic, promotional, legal and industrial documents, reports, statements, plans, etc. in the Arabic and English Languages for the superlative appreciation of our clients of momentous standing. 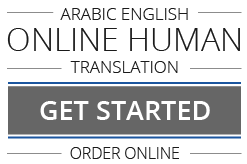 Demonstrating virtually twenty years of traditional skillfulness, our incredibly accomplished connoisseurs put in the applauded meticulousness to our Arabic and English Linguistic services in Marrakesh, Fes, Rabat, Tangier, Casablanca, etc. that we constantly perform.